Busi Group spreads its activities and news using different communication channels. In this section you will find articles published in newspapers, magazines, magazines, portals and websites. 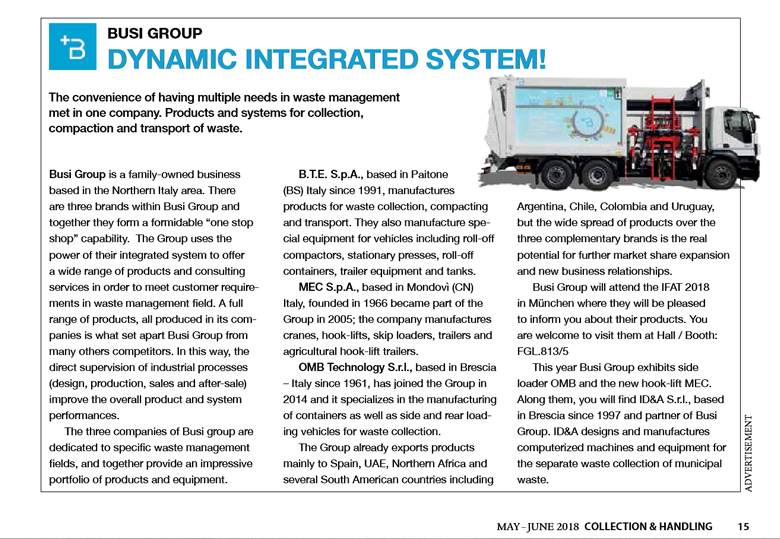 Busi Grop, the convenience of having multiple needs in waste management. Products and systems for collection, compaction and transport of waste. Entnommen aus: Tutto Trasporti, marzo 2018. Busi Goup a quota 76 milioni. Entnommen aus: Giornale di Brescia, martedì 6 febbraio 2018.